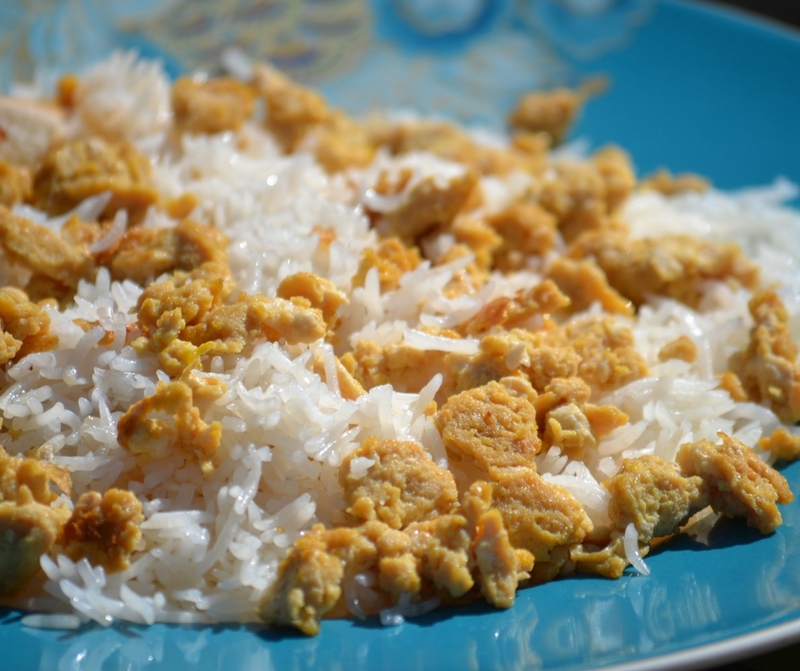 I learned to make Tamari Scrambled Eggs and Rice years ago from a friend’s mother who grew migrated to the United States from Thailand. In her country, food is never wasted. Leftovers are cleverly re-invented into another meal, insuring every morsel of food goes to good use. Like most Asian cultures, rice is a standard dish served at most meals. Growing up in an American home, rice was never a food I my mother served for breakfast unless it came in a breakfast burrito. Once I discovered the delicious combination of scrambling eggs with the salty flavor of Tamari and then tossing it into heated left over rice, I became a true believer in eating rice for breakfast. The next time you have left over rice from the night before, give this recipe a try and enjoy a tiny taste of what breakfast is like in Thailand. A great way to use up rice from last night's dinner, while creating a light and savory breakfast meal. In medium bowl, beat eggs until completely scrambled. Add Tamari sauce and beat into eggs mixture. Coat non-stick pan with cooking oil and heat on medium-high. Pour in egg mixture, breaking them into small chunks as they cook. Remove from heat when done. 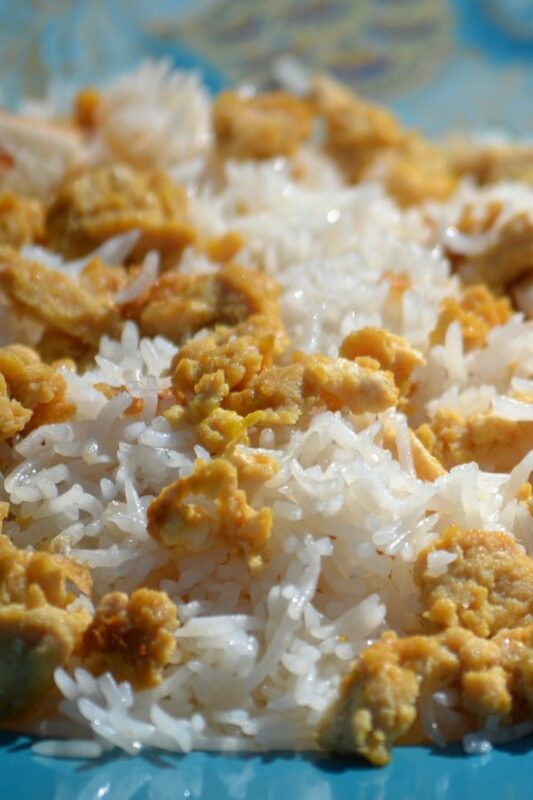 In large bowl, gently toss together rice and eggs with fork until combined. Spoon on to individual plates and serve.